Dr. Andrea Giraldo is originally from Colombia. 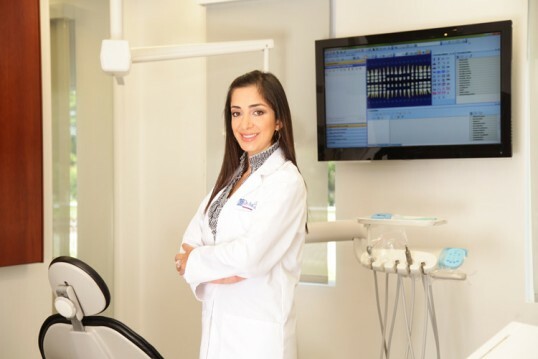 She received her Dental Degree in 1997 from Javeriana University in Bogota. 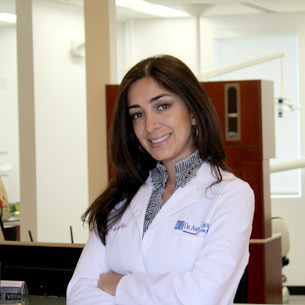 In order for her to keep doing what she loves, continue with her training, and expand her knowledge in the field of dentistry, she further acquired a second dental degree in 2006 from Nova Southeastern University.She also holds a certificate in Advanced Education in General Dentistry (AEGD) from Nova University, which she finished in 2003. Since starting her career, Dr. Giraldo has always focused on delivering the best dental care possible. She has earned an excellent reputation for her attention to detail, soft touch, one-on-one patient attention and thorough gentle care . Her dental practice is the perfect place if you are looking for comfort and proper care. Following her belief in giving back to the community, Dr. Giraldo . has provided dental needs for underserved patients of our community through Donated Dental Services, and is part of the yearly event, give kids a smile. Dr. Giraldo is an active member of the ADA, FDA and Broward Dental Association. Dr. Giraldo is married, she is a pet lover having two French bull dogs her self, which she adores. She enjoys boating, traveling and spending quality time with family and friends.